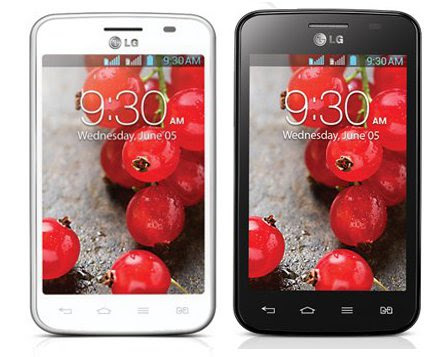 LG added a new phone - Optimus L4II Dual, in its L series. It is a 3G phone with two SIM card slots running on Android v4.1 Jelly Bean operating system. It is assembled with 1 GHz processor, 512 MB RAM and 4 GB inbuilt memory. The generous 3.8 inch IPS display has 320 x 480 resolutions. Of course, the display resolution is low but no other phone in the same price bracket is offering more. LG Optimus L4II Dual is outfitted with 3 megapixels camera. Certainly, it will not let you capture very crisp images but definitely you will not miss moments of your life. It lets you capture images and record VGA resolution videos to relish the memories. Optimus L4II Dual, the new member in L series is fueled with 1700 mAh battery. It promises a talk time of 10 hours and satisfactory standby time. Its SIM switch key is really worth a feature. It switches between two SIM cards and the smart forward feature allows incoming calls on one SIM to be diverted to other in case the other SIM is being used. The phone is absolutely worth the price (Rs. 9850) with given features and qualities. Android, the KING of Mobile OS!! !